Just a little reminder that there’s still lots of time to join in the fun at the Mixed Media Card Challenge this month! I’ve layered some papers, added some translucent paste through an ARTplorations stencil, stamped in five different shades of archival ink, and then added some mists. The sentiment is such a wonderfully encouraging one “it is during our darkest moments that we must focus to see the light”. That may be a hard thing to do some days, but it is so, so true. 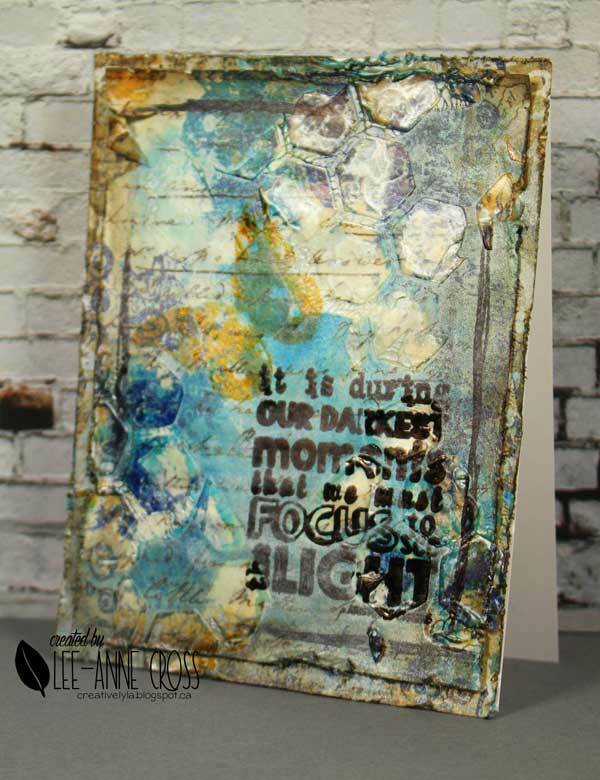 Wow Lee-Anne, you make distressing and “Very” Mixed Media Art so beautiful! TFS my friend.